In my previous article, I have illustrated the way to collect poor performing queries using profiler. 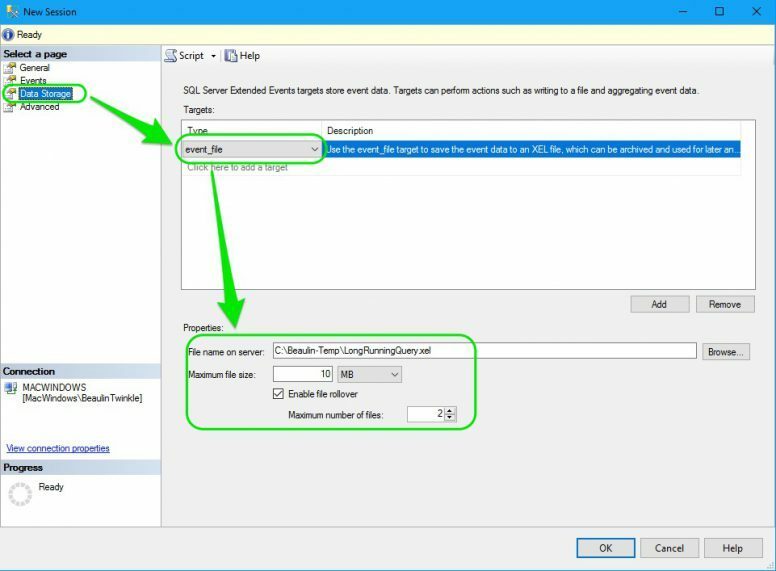 However, using SQL Server Profiler to trace poor performing queries will consume lot of server resources and slowdowns the query executions. So it is not advisable to keep running the profiler for long time like hours or days. The better option is to use the Extend Events. Here I will illustrate collecting poor performing queries using extended events and store them for analysis. 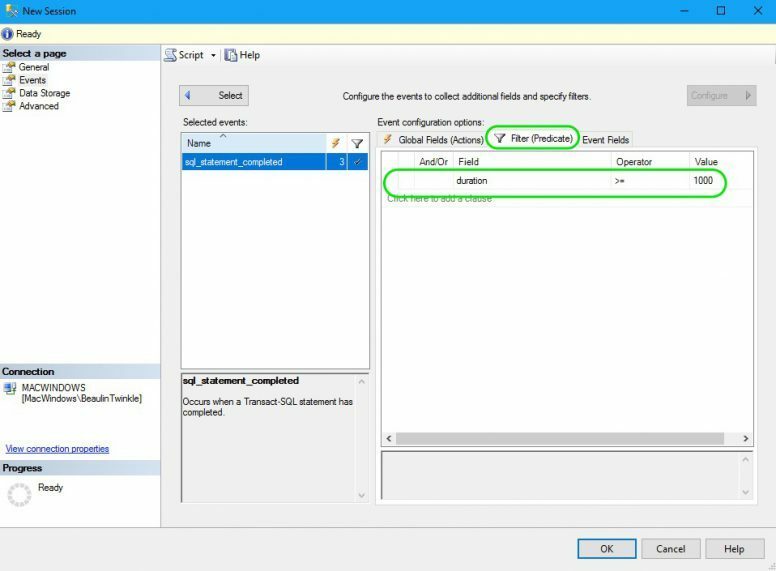 In SQL Server Management Studio, go to Object Explorer > Management > Extended Events > Sessions. In the New Session pop-up window, select General from the left panel and enter Session Name. I have named it LongRunningQuery. Now, choose Events page from the left panel. In the Event Library, search box, type in sql_stat. From the filtered events, select sql_statement_completed event and click the right arrow. 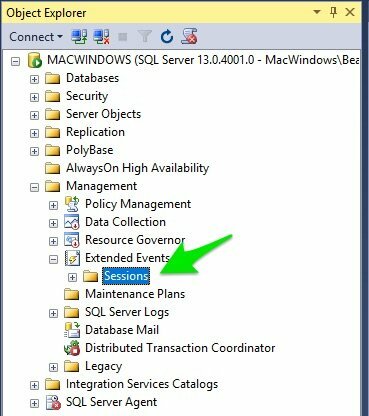 The sql_statement_completed event is now listed under the Selected events list in the right. 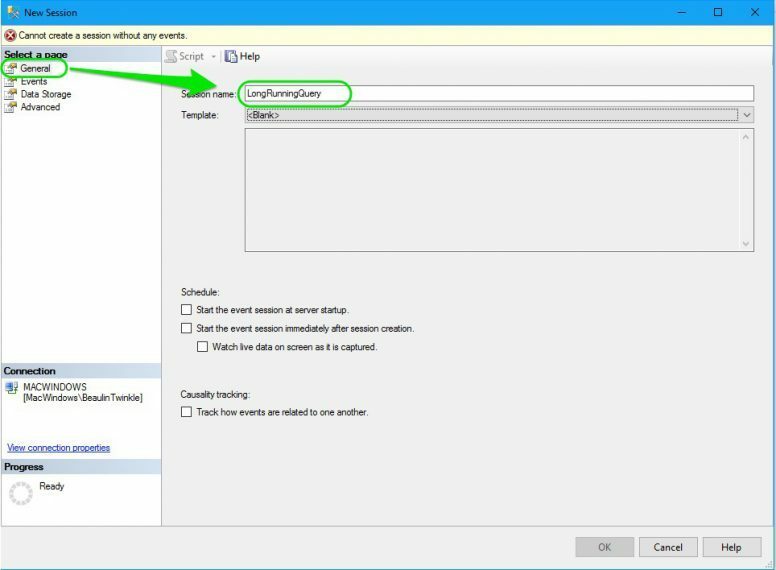 To check whether the session is created properly, go to Object Explorer > Management > Extended Events > Sessions. 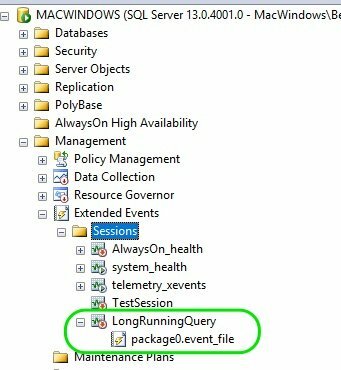 You will see the new session LongRunningQuery. You can edit the session by right-clicking and select edit in right-click menu. By default, the session will be in inactive state. Follow the below steps to start the session and track the events. 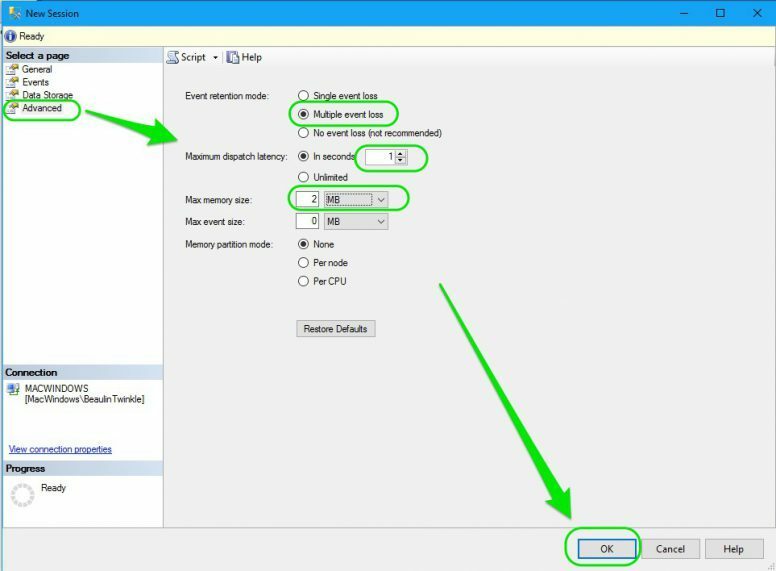 To start the xEvent session, right-click the session LongRunningQuery and select Start Session in the right-click menu. The session will start collecting the events and store them in the location you have set. 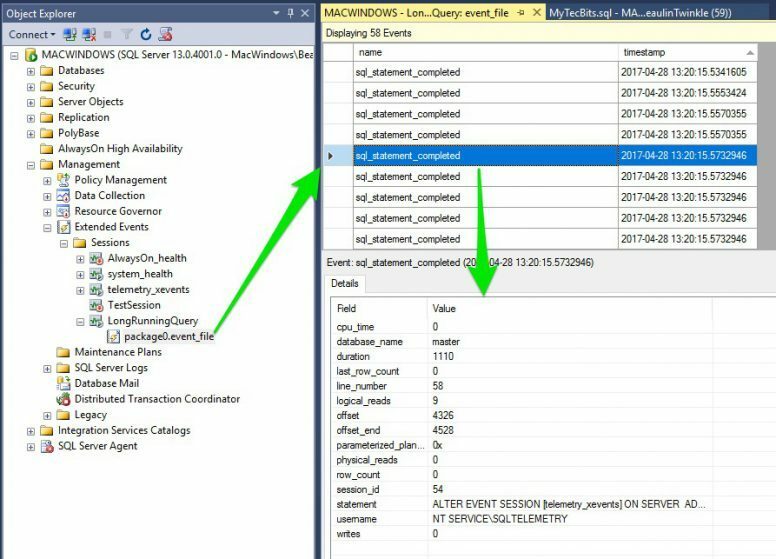 To see the poor performing queries collected by the session, double-click on the event file package0.event_file underneath the session. A query window will open with the list of tracked events. On selecting an event, you can see the details of the query in the result window. 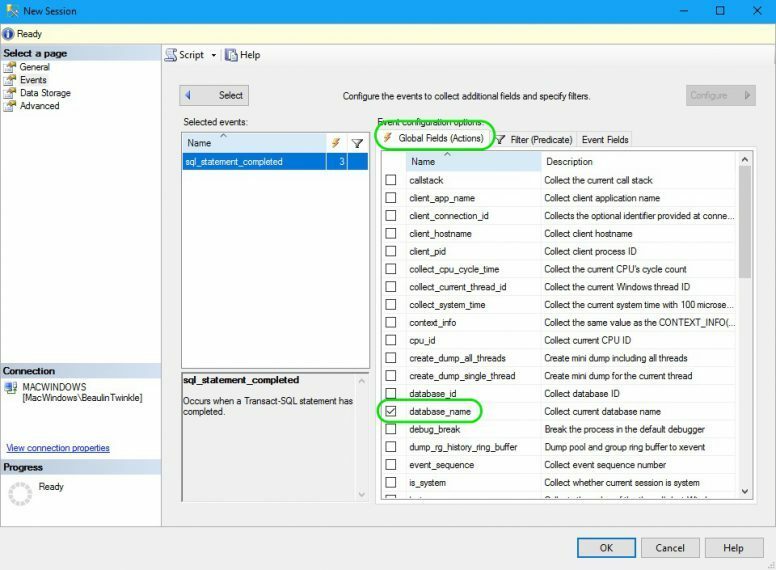 Once you are done with the poor query collection, disable the session to stop collecting. 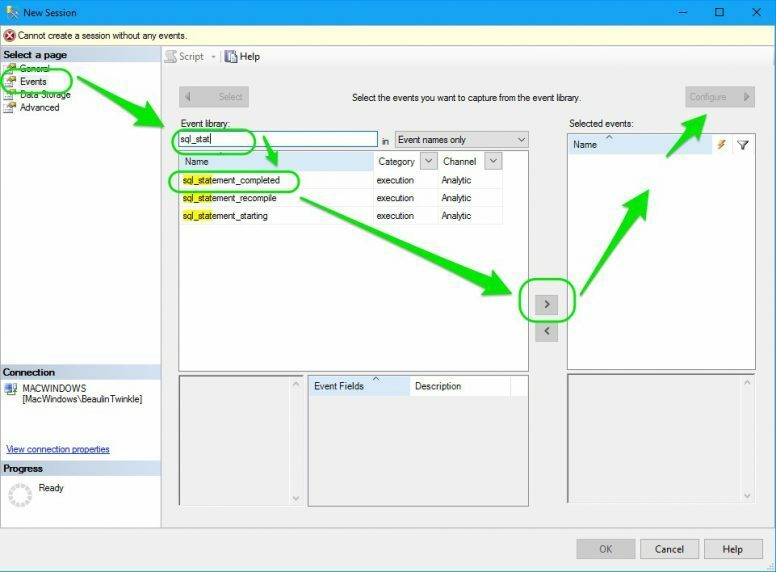 To disable the session and to stop it from collecting the data, right-click the session name and select Stop Session. Steps by step illustration to capture only the poor performing stored procedures using extended events.